What kind did I get – I got two kinds so I could see what the difference is between them. Could I tell a difference? Yes, the expensive stuff has a more subtle interesting flavor – not quite as “dry” tasting, maybe a little sweeter? The good stuff didn’t have the dry after taste that the cheaper one had. Maybe it is like “they” say, you get what you pay for, especially in Matcha Tea. Yesterday I got the most amazing tea buzz from the Matcha. It might have been a caffeine buzz from drinking the Lapsang first, but my increased energy level lasted almost all day, plus I was mellow and in control at the same time. I’ll let you know if there is a difference between the affects from the cheaper one today. FYI about caffeine. Matcha tea caffeine is on the same level as black tea, which is the strongest of the teas, but only about 1/2 as much caffeine as coffee and the affect is spread out over 6-8 hours because of the tannin in tea. You really need to do your own experiments to determine which flavors you enjoy more. I’m doing the Matcha because of the HUGE health benefits. The flavor of Matcha isn’t what you’d call normal beverage flavor, but you can mix it in other things and I don’t think you’d ever taste the tea. Consider that I like strange and different things, like peaty single malt scotch, etc., I enjoy the grassy flavor of green tea. I don’t think I’ll need a razor blade and a hundred dollar bill to consume this Matcha tea, but it looks like a green version of the stuff the “older guys” warned me about. My first cup of Matcha – Green Tea is ready to be enjoyed as I write this post. Generally my day starts with a pot of my favorite black tea, Lapsang Souchong which is a very strong flavor, possibly tainting this review a little. Yes, Matcha tea is expensive. I just paid over $30 for 1 ounce of the good stuff. I’ll let you know if the cheaper Matcha tea is a better deal when I do the math. I only used 1/4 heaping tsp in my first 8 oz cup of tea. My research has found at least two (2) different catagories of Matcha Tea with variations on those. 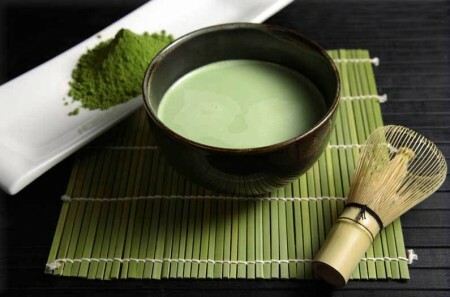 Ceremonial Grade and Culinary Grade matcha are the main Grades determined by the quality of the appearance, processing method and ingredients. Within these grades inspectors look for, color, quality and texture density of the product. Next the makeup of the powder is determined; e.g. was it made from stems or leaves or a combination? Finally the coarseness of the powder is considered, the finer the better. Once the quality of the product itself is judged, the handling of the product is considered. Has it been exposed to oxygen for any length of time? What method was used to grind it and how was it treated prior to processing. Ceremonial Grade Matcha is the finest and therefore the most expensive grade. It should not be mixed with anything else but enjoyed on its own. Culinary Grade had five (5) levels within the grade. It is a less expensive product making it more affordable to being used daily or mixed with other ingredients. For a more complete description and explanation of Matcha and its grades, please visit “Epic Matcha” on line. As with many of life’s guilty pleasures, half the fun is the ceremony. The cigar has it’s ceremonial clipping, smelling and lighting. Wine has the ceremony of viewing the label, smelling the cork, decanting the bottle, “nosing” the wine while swirling the glass and looking for it’s “legs“. The older guys tell me about a ceremony involving a white powder chopped with a razor blade and snorted with a rolled 100 dollar bill, but I digress. The Matcha Tea ceremony is no less involved. I think I was expecting a very strong green tea flavor. You know, something that may be an acquired taste, but that isn’t the case. I taste a somewhat grassy subtle undertone on the front of my tongue with that familiar green tea full mouth taste. 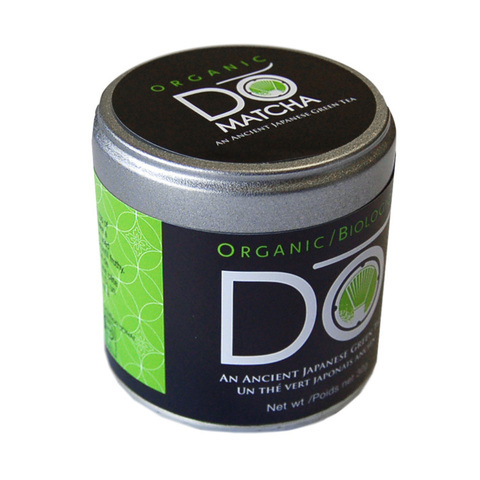 Reviews say that Matcha tea is naturally sweet. That may be so, but the sweetness isn’t sweet like sugar, it is more like the sweetness of coffee with just a little cream in it. The flavor I detect is really more the lack of bitterness more than sweet. As the Matcha tea cools off, I detect a stronger “grassy” flavor. I’ve just noticed that even though I used a whisk to mix the tea there is still at least 1/2 of the 1/4 teaspoon on the bottom of my cup undissolved. Note to self – stir Matcha tea for longer than 15 sec in the future or use the stick blender. I do notice that unlike some tea that tastes like tea in water, Matcha tea has the full body of a beverage that stands alone and doesn’t taste watered or dissolved in water. Have you made the change from coffee to tea yet? Don’t like that dry gritty feel that tea leaves in your mouth? Not a fan of tea flavor in general? You know all the health benefits of tea, both green and black, but just haven’t found the tea for you? A couple of years ago now, I reconnected with a grade school friend that I haven’t seen or heard from in over 45 years. As life does to all of us, Spencer changed from the mild mannered soft spoken “smart” guy I used to know into a brilliant, composer of amazing symphonies and other such incredible things. We shared the story of each of our lives and he told me of the tea he keeps as a constant companion. 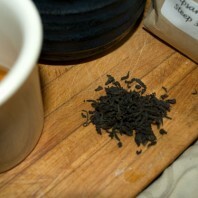 That tea was Lapsang Souchon. 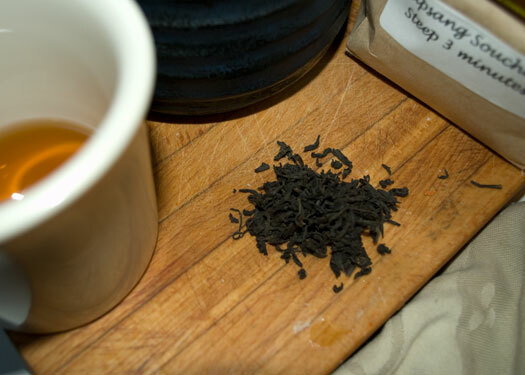 I don’t expect many if any of you have ever heard or tried Lapsang (as I now refer to it). It can be a strong tea, but it most assuredly has a flavor and aroma like no other tea. The smokey almost peaty aroma and taste are reminiscent of a fine single malt scotch. It is Sherlock Holmes’ tea of choice. Briefly from Wikipedia, the story goes that the tea was created during the Qing era when the passage of armies delayed the annual drying of the tea leaves in the Wuyi hills. Eager to satisfy demand, the tea producers sped up the drying process by having their workers dry the tea leaves over fires made from local pines. The smoke from those fires flavored the tea and the rest is history. I will drink other tea, but I don’t really like it as much as coffee. 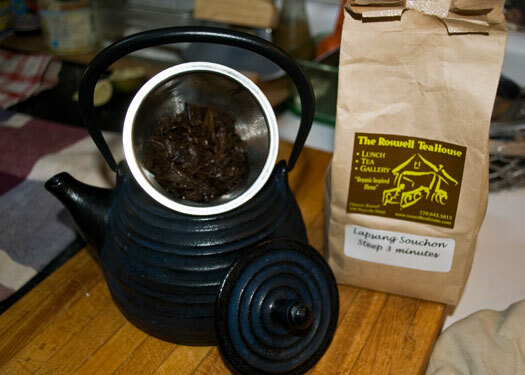 I brew my Lapsang in an iron tea pot and sometimes use the leaves as many a 3 times. I’ll start drinking as soon as the hot water is poured over the leaves and continue to enjoy 3 or 4 more small cups as the tea brews and gets stronger. See, no rules. If there is any tea left in the pot, I have been known to drink it cold. I love Lapsang. Oh, I forgot to tell you, Spencer is a Tea Pusher man or better put a “Johnny Appleseed of Tea”. I’m now completely involved with the flavor and mellow of Lapsang Souchong – thanks Spencer. 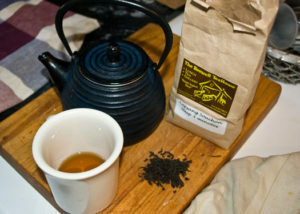 If you don’t have a regular source for tea try the Fat Farm Store. Lapsang Souchong tea is available here. Yesterday was day one of my journey into a plant-based diet. I’m not calling it vegan or vegetarian. That sounds too much like I joined a cult. We went to the new health food store near our house. I thought they’d have vegetables and such but it was just a bigger version of every other health food store I’d ever been in. You know, dried over priced, packaged, grains and sea weed. We bought some organic vinegars and soy sauces. I found my favorite pickles, Bubbies. They had Kosher Dills and bread and butter chips. We got both. I got a honey lemon-aid and Darlene got a regular. I did find black and white Quinoa and a couple of different rice mixtures, nothing special and it was 75 freak’n dollars. Looks like the transition to a complete organic diet is going to be delayed for a while. I had Red Quinoa for lunch seasoned with soy sauce and rice vinegar. I was satisfied then, I’m not so sure I can speak for another round today. I do drink a lot of water, which seems to help fill me up. I tried to be interesting for dinner. I fried egg plant slices in my newly acquired toasted sesame oil with sweet onions in rings and a clove or two of garlic. 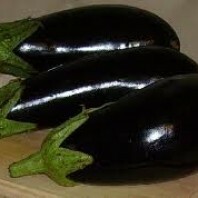 I arranged a nice bed of alfalfa sprouts on a plate covered with rocket arugula leaves as a nest for my eggplant. After pulling the eggplant from the skillet (possibly a little to late) I added the remainder of the Quinoa I had for lunch to the hot pan with the onions. I tossed those around a little and seasoned everything with tamari sauce and plated it. The meal was ok, but neither of us went for more and Darlene didn’t eat all of her onions. I finished the meal with a pot of hot tea. I was far from full, but not hungry either. I didn’t photograph the process or the final product because I was embarrassed. Matcha Green Tea – Super Tea? Matcha is made from shade-grown tea leaves. Several weeks before harvest, tea bushes are covered to prevent exposure to direct sunlight. This slows down growth, turns the leaves a darker shade of green and causes the production of amino acids that make the resulting tea sweeter. Then only the finest tea buds are picked. After harvesting, if the leaves are rolled out before drying as usual, the result will be gyokuro (jade dew) tea. If the leaves are laid out flat to dry, they will crumble somewhat and become known as tencha. Tencha can then be de-veined, de-stemmed, and stone ground to the fine, bright green, talc-like powder which is known as matcha. It can take up to one hour to grind 1 ounce of matcha. 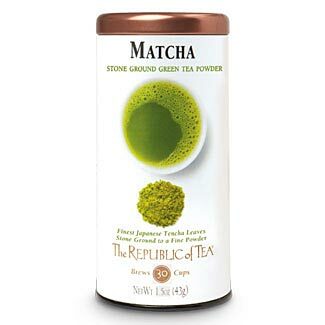 Note that only ground tencha qualifies as matcha, and other powdered green teas, such as powdered sencha, are known as konacha. The highest grades of matcha have more intense sweetness and deeper flavour than the standard or coarser grades of tea harvested later in the year. The most famous matcha-producing regions are Uji in Kyoto, Nishio in Aichi, Shizuoka, and northern Kyushu. Matcha is generally expensive compared to other forms of tea, although its price depends on its quality. 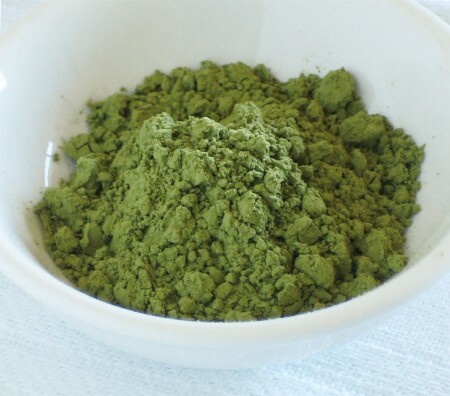 Grades of matcha are defined by many factors. Location on the tea bush – Where leaves destined for tencha are picked on the tea bush is vital. The very top would have developing leaves that are soft and supple. This gives a finer texture to higher grades. More developed leaves are harder, giving lower grades a sandy texture. The better flavor is a result of the plant sending all its nutrients to the growing leaves. Treatment before processing = Tencha leaves are traditionally dried outside in the shade and are never exposed to direct sunlight. Modern drying has mostly moved indoors. 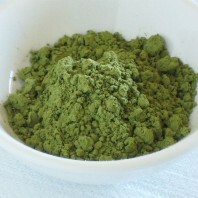 Quality matcha is vibrantly green also as a result of this treatment. Stone grinding – Stone grinding is an art form in itself. Without the right equipment and technique, matcha can become “burnt” and suffer degraded quality. Oxidation – Oxidation is also a factor in determining grade. Matcha exposed to oxygen can easily become compromised. 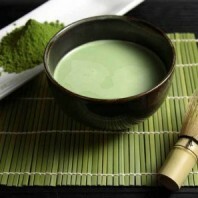 Oxidized matcha has a distinctive hay-like smell and a dull brownish green color. The health benefits of green tea and matcha are widely acclaimed. 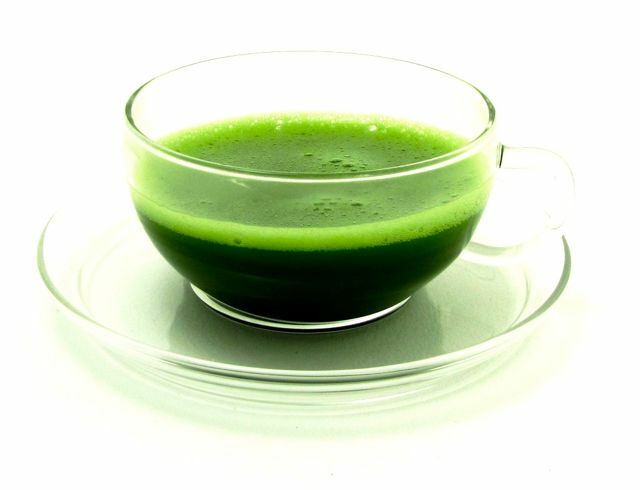 Consequently, matcha and green tea can be found in health food products ranging from cereal to energy bars. In 2003, researchers from the University of Colorado found that the concentration of the antioxidant EGCG available from drinking matcha is up to 137 times greater than the amount of EGCG available from other commercially available green teas. 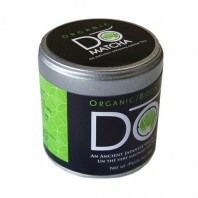 Matcha is said to boost metabolism and not just because of the caffeine which is 1/2 the amount found in coffee. 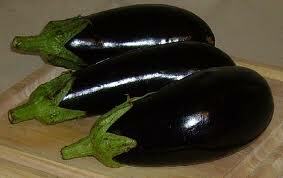 It is known to also help reduce cholesterol levels when consumed regularly. The aforementioned health benefits of matcha green tea can largely be attributed to the fact that the whole tea leaf is ingested, as opposed to just the steeped water in the case of ‘bagged’ green teas. This means that it delivers a much higher potency of catechins, chlorophyll, and antioxidants. Matcha contains more antioxidants than blueberries, gojiberries, pomegranates, orange juice, and spinach. There is evidence from clinical studies that suggests that theanine, when consumed by drinking Japanese green teas, may help to reduce or moderate mental stress responses. Research has also shown that the EGCGs which are a group of antioxidants called catechins, speed up the metabolism, helping the body burn stored body fat. Not to mention it significantly delays the onset of cancer as well as reducing the risk of cardiovascular disease. 1 All antioxidants inhibit the aging process by restoring cell tissue and reducing inflammation. As far as caffeine goes, Green tea contains tannin witch slows the absorption of caffeine into the blood releasing it over the course of 6-8 hours, unlike coffee. De-Boneing and stuffing a whole chicken has become a tradition for my family for Thanksgiving. Before stuffing the chicken we must remove the bones. 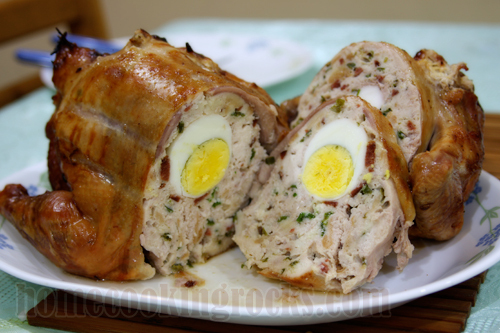 Most chefs slice the chicken open to access the bones, then sew it back as with the video later in this blog. The technique I’m going to describe here via Anna Maria Volpi different and most spectacular. Her technique is a little more elaborate. The bones are removed from the opening in the bottom of the chicken, without cutting or breaking the outer skin. The result is the original chicken’s shape! She learned this technique from her butcher father. It is not easy, but worth doing for a special occasion. 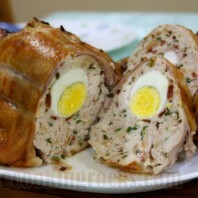 The best result is obtained by using a chicken, about 5 – 6 lbs. Widen the neck opening until you find the junction of the wing and the rib cage. Cut the ligaments with a sharp knife to separate the wings. Cut the cartilage that holds it to the breastbone. Insert the hand in the neck opening, and separate the meat from the bones all around the rib cage and backbone. Turn the chicken over as necessary. Use a knife to cut the white cartilage from the skin. Separate with a knife the rib cage from the skin and the breast meat where necessary. Free the wing bones and remove them. Now all the the bones of the rib cage and the backbone are fully separated from the skin and can be removed from the bottom opening. Cut the skin around the end of the legs to separate it. From the bottom opening scrape the meat from the thighbones and remove them. The chicken is now completely boned and ready to be stuffed. Marinades are flavor-infusing liquids best suited for tougher cuts of meat. In addition to herbs, condiments, spices, and oils, marinades typically include an acid, like lemon juice, wine, vinegar, even dairy. Adding sweet ingredients to the marinade can help form appealing caramelized, crispy coatings on grilled meats. The acids in the lemon juice, wine, vinegar, butter milk, etc will actually cook the protein in the meat by chemical reaction. Always marinate in the refrigerator. And remember, if you’re basting with a liquid in which raw meat marinated, do not apply it during the last three minutes of grilling. Chicken, turkey and fish will take on marinade flavors much more quickly and effectively than red meats. Fish only need to marinate for 30 minute to an hour. Chicken and turkey 2 to 3 hours. Red meats need at least 24 hours to work at all. The more acid in the marinade the better and quicker it will work. Marinades only penetrate the meat 1/8 inch at the most no mater how long you soak them. 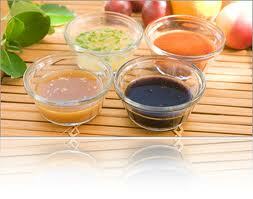 Think of marinades as a sauce and don’t waste money on expensive ingredients for your marinades. If you use sugar the sugar will tend to burn on the surface of the meat. If you like charred meat, fine. Don’t use alcohol either. The alcohol will only cook the surface of the meat sealing it from further penetration of the other flavors. 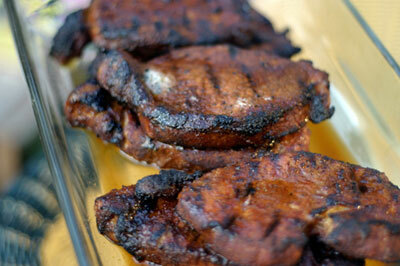 If you use salt in the marinade then you are actually brining your meat. See Brines below. Brines are salty solutions that help lean meats hold their moisture so they stay juicy and tender during grilling.Brining is a popular method for preparing poultry, particularly turkey, and lean meats, like pork, that tend to dry out on the grill. Sugar, spices, and herbs are sometimes added to the liquid as well.Soak meats in a container large enough to submerge the meat completely without allowing it to float in the solution. Store in the refrigerator. Before grilling, rinse brined meat to remove excess salt and dry it with paper towels. Remember high school chemistry? Yeah, me neither. But I do remember something about osmosis. But I remember that in osmosis through a semi permeable membrane like the flesh of the meat, water or other liquid will flow from a lower concentration of salt to a higher one, back and forth until the concentrations are equal. So first water flows out of the meat and salt flows in which starts to break down the proteins in the cells. Additonal water will flow into the meat as the protein breaks down causing the meat to be more moist. The brine can also be used as a vehicle to carry other flavors into the meat with the dissolved salt. Hence the sugar (to balance the salt) and other flavors that will dissolve in water. Obviously, there’s more going on than simple osmosis. It is true that salt enters the meat (it tastes more salty after brining). But why is it also more juicy? Well, when water flows out of the meat, salt flows in and begins to break down some of the proteins in the cells. 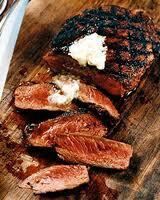 In the broken down state, the molecules become more concentrated and the solute levels rise within the meat. This causes additional water to flow into the meat. How Stuff Works has a short article describing osmotic pressure with a diagram that may be helpful to visualize the water flow. What has happened is that through brining, we’ve caused a state change in the cells so that they will draw and hold more water than before. As we cook the meat, the heated proteins will begin to draw in tighter and squeeze out water, but, hopefully, enough water will remain to produce a juicy, tender piece of meat. Always start with a cold brine. Refrigerate or ice the meat while brining to prevent bacteria from forming. Brine for 2 hours per pound of meat and cover the meat with a solution of 1/2 cup of salt per gallon of water. The other stuff like sugar and herbs are just bonus flavors. 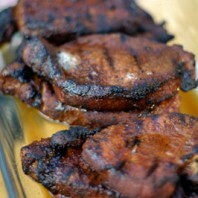 Rubs are seasoning mixtures rubbed on meats before grilling to add spicy or smoky flavors. The best rubs enhance the flavor of the meat without being overbearing and are often blends of strong and mild spices and herbs. When oil or another wet substance is included, it is called a wet rub. A little moisture helps the rub adhere to the meat. Rubs are an easy way to infuse the surface of your grilled meats with exciting ethnic flavors–from Cajun to Korean. Setting aside rubbed meats for anywhere from 30 minutes to overnight allows the spices to permeate the meat as much as possible. Rubs are most effective when used on slow cooking meat as opposed to a fast grilling method. Slow cooking allows the meat’s juices to blend with the rub while high heat grilling only burns the rub on the surface.